Visit www.homebaseiowa.gov for more information about the program. What is Home Base Iowa? The Iowa military community, Iowa Workforce Development, Iowa Economic Development Authority, and office of Governor Branstad began the Home Base Iowa program to honor our nation’s veterans, end veteran unemployment, and bridge Iowa’s skills gap. Home Base Iowa’s mission is to make Iowa the state of choice for military men and women as they begin their journey to civilian careers. Home Base Iowa will provide veterans with resources that can open doors to job opportunities, welcoming communities, and on-going engagement with the military community. 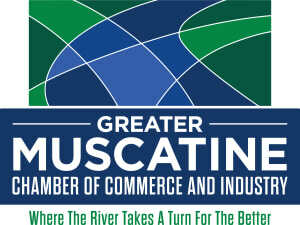 Muscatine County became a Home Base Iowa Community on May 4, 2015! TEMP Associates & RJK, Inc. 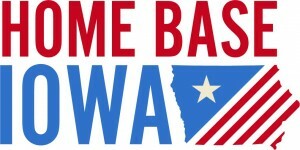 Contact Greater Muscatine Chamber of Commerce & Industry for details about how to participate in the Home Base Iowa program as a veteran, or as an employer.